You’re most likely to see Steve Copley at the door of your home or commercial property, arriving in one of the Abby Locksmith fleet vehicles, with a well-designed solution to meet your specific request. 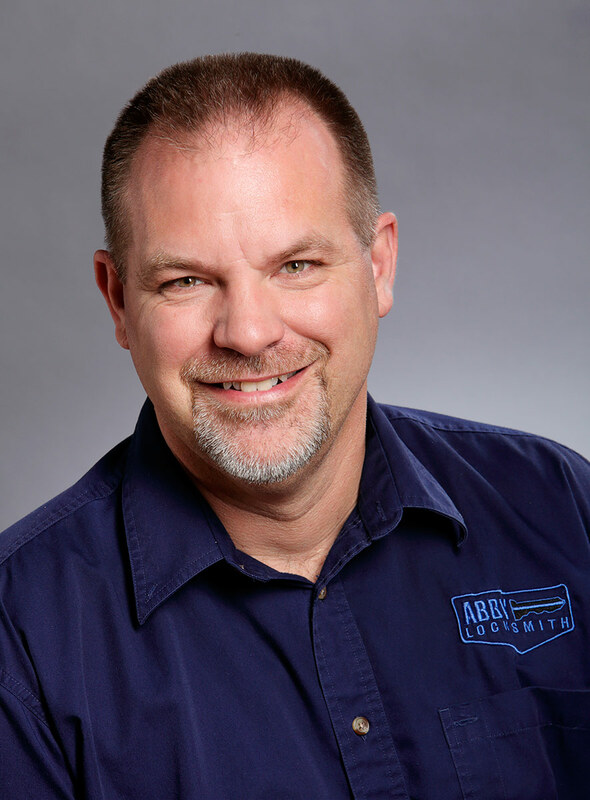 Steve has served on the Abby Locksmith team since 2013, and enthusiastically applies his nearly three decades of locksmithing experience to supporting our clients’ physical security needs. His past involvement in the industry includes long-time service as Property Protection Specialist for Overwaitea Food Group. A longtime Abbotsford resident, Steve is a Licensed Security Consultant who also holds a Certificate of Qualification, a Low-Voltage ticket, and closed-circuit TV training, with a specialization in servicing safes. Although commercial jobs are his favourites, Steve brings his love of people, security technology, and problem solving to all client visits. A self-described family man, Steve spends his leisure time in the outdoors: fishing, and travelling.